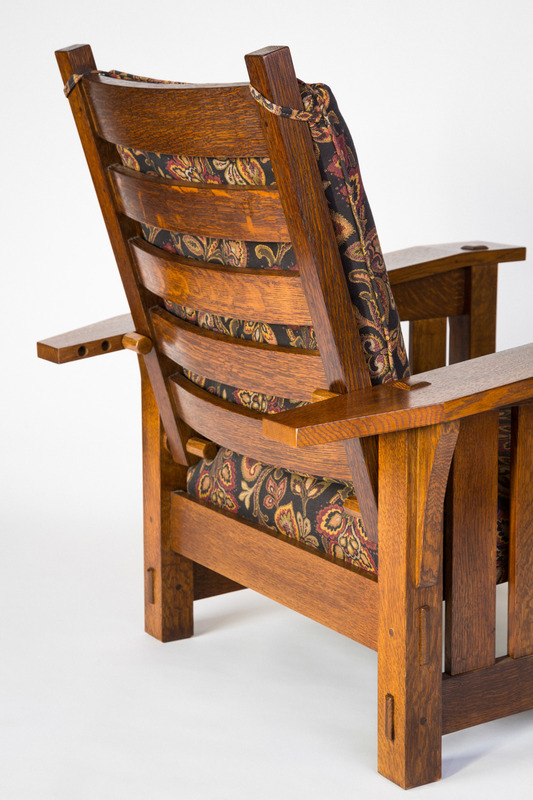 This is a reproduction of the classic Gustav Stickley #369 Morris Chair. 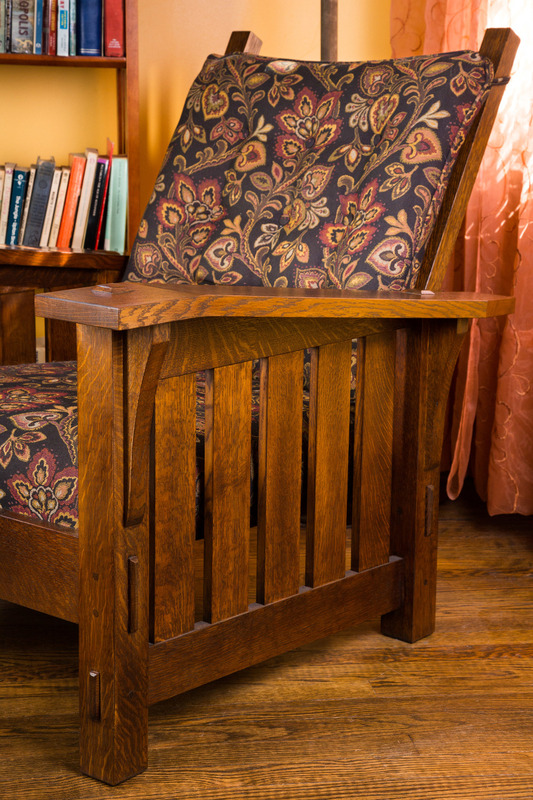 Made from quarter sawn white oak, finished with dye, garnet shellac, and dark paste wax. 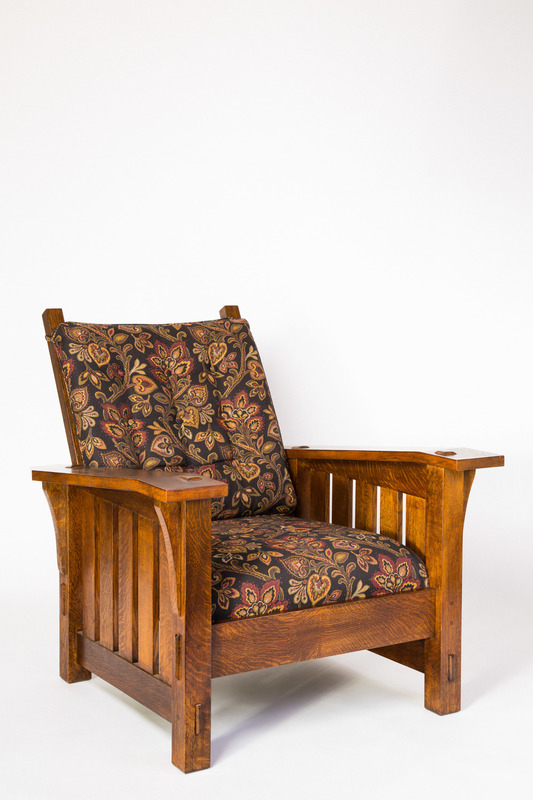 One of my favorite pieces I've built to date, The upholstery is a William Morris inspired pattern, I blogged about the build here.